which kinds of pod system kit you would prefer? Have you ever seen the Luxurious Pod System? Here are some brand new pretty good pod system kits for you. VOOPOO VFL Pod System Kit has the solid American football appearance that is so funny. VOOPOO VFL Pod System Kit consists of a built-in 650mah VOOPOO VFL battery and 0.8ml VOOPOO VFL Pod cartridge. Made of the zinc alloy and covered by vacuum-plated aluminum alloy, it is comfortable on your hand. Features the 3 voltages (2.5V, 3.0V and 3.5V) to switch and accurate structure that will deliver you the optional flavor. The VOOPOO VFL Pod System has two different airflow pores, The pos can be placed accordingly to connect either airflow on both sides. Working with the ceramic coil and U-Shape airflow system, the VOOPOO VFL Starter kit always keeps the original taste. Get the Luxurious American football VOOPOO VFL Pod System Kit now. 1. Voltage adjustable: you can always get your favorite taste with the 2.5V, 3.0V or 3.5V voltage options and preheating setting. 2. Two Airflow options: the two airflows are of different pore sizes. The pod can be placed accordingly to connect either airflow on both sides. 3. Flavor oriented structure: ceramic coil and U-shape airflow always keep the original taste. 5. Aesthetic shaping: VFL is in the shape of American football. The charging port is hidden on the bottom in this symmetric structure. 6. Premium fishing: the combination of vacuum-plated aluminum alloy and silicone buttons makes the device astonishing in touch and vision. 7. Long battery life: vape on any time with VFL's 650mah built-in battery. Manta Pod System Kit is finished with the special luxurious leather, which will be comfortable on your hand. With the ceramic coil holder, the Manta Pod starter kit is best for the nicotine salt e-liquid. 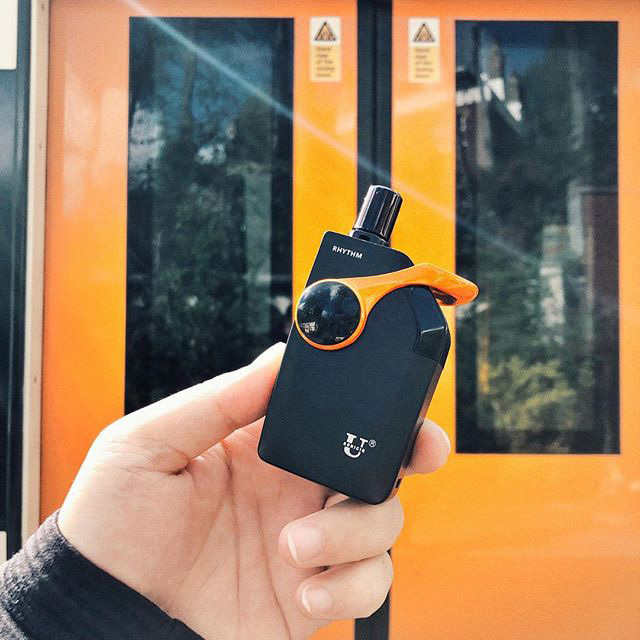 It features the latest technology and upgraded features for the best vaping experience, and it fits nicely in your back pocket or slides right into your purse. With the 3.3.mm filling hole, you can way to refill the Manta Pod cartridge. There are multiple protections to guarantee the safe vaping. The Manta Pod System Kit will be released soon. Find more details via The Best Pod System Kits. Maybe you would prefer the strong coil free pod system kit. It is the USONICIG Rhythm UltraSonic V3 Pod System. USONICIG Rhythm UltraSonic V3 Pod System Kit is the upgrade version of the original USONICIG Rhythm Kit. 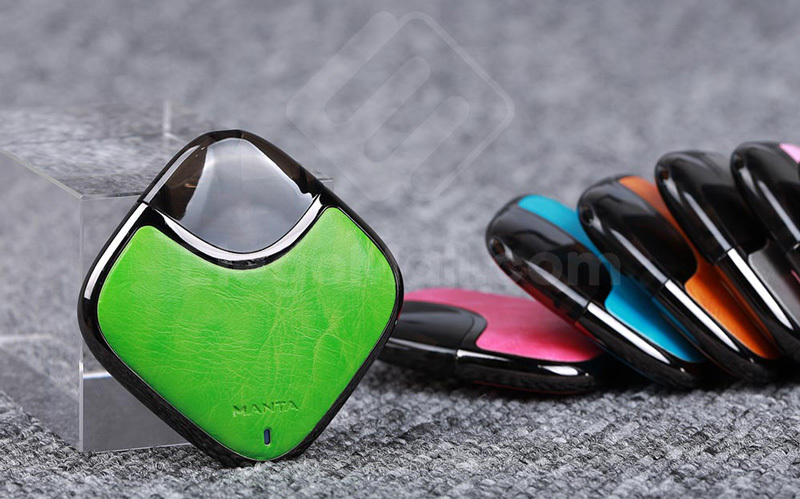 The third generation USONICIG Rhythm UltraSonic pod system is best for high-nicotine salt vaping. The USONICIG Rhythm features a built-in 1500mAh battery and across airflow system designed to produce dense amounts of vapor. Adopts the 2ml Ultra Sound tank with the vibrating chip that breaks down the e-liquid into a vaporous state. The Rhythm features a magnetic replaceable tank with a ceramic chip that provides smooth and low-temperature vapor. 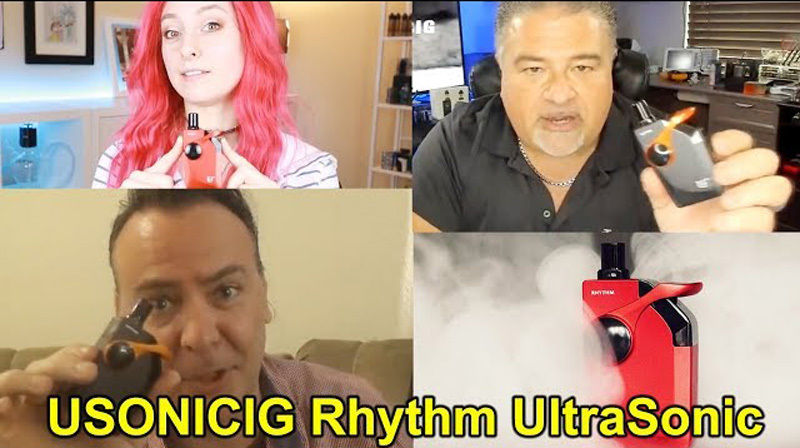 Get the USONICIG Rhythm UltraSonic V3 Pod System Kit for best MTL and DL vaping now. Last edited by Pheric; 19-09-18 at 11:33 PM.